A few years ago I studied Fashion Design at the University of the Fraser Valley. There I learned about pattern drafting, fashion sketching, sewing, the business of fashion and surface design. Below are examples of my surface design and sewing skills. The projects range from one day projects to one month projects. The Starry Night dress was inspired by my love for Van Gogh. I also hand dyed with a gutta resist the lovely silk scarf shown below. The scarf and dress were made as a part of my surface design course at UFV. Once I started at Emily Carr I had less time to work with textiles. 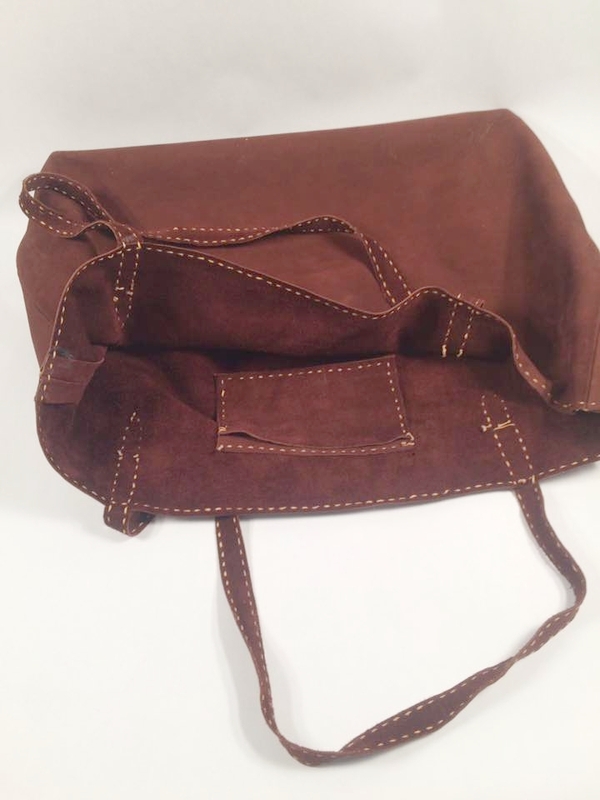 After a year or so of not being able to work with a sewing machine I decided to plunge back into textiles by teaching myself how to create a leather tote bag. I used only hand tools for this project; drafting and hand sewing it all by hand. I hammered in each thread hole one by one in a process that took a lot of hours. From this process I learned that hand sewing takes a VERY long time and a ton of work but the result is generally worth it because of the beautiful stitching and hand made style. Whenever I take this bag out and use it people always ask me where I got it from and I proudly say that I made it myself. Below are images of it. The second bag I attempted was on the heavy duty sewing machine. The machine took some getting used to and so did working with such a thick material. I really enjoyed the process. Below are the final stages of the sewing and then the results. From couches to cases. 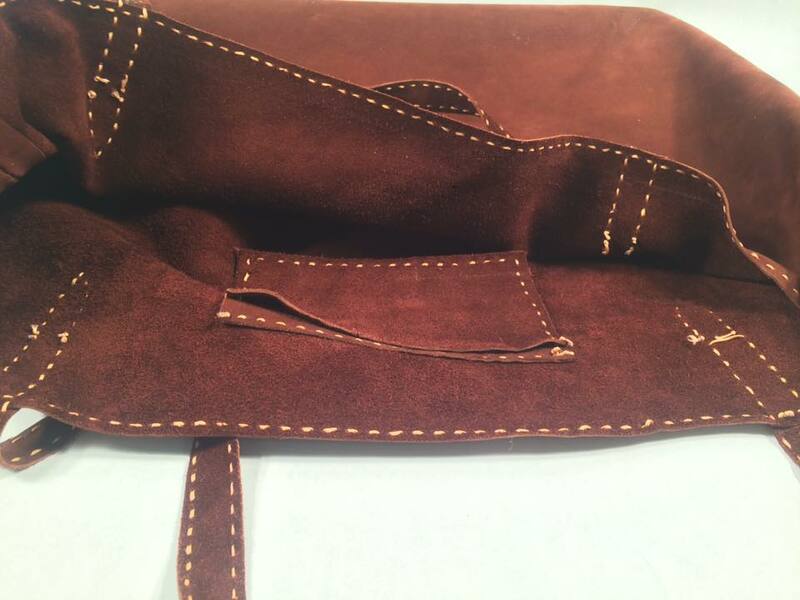 This project looked at using the leather from old couches and bags to make durable, long-lasting phone cases. At this stage I was still practicing my hand at machine sewing and I found this project to be very useful practice. After hiking the West Coast Trail and working at Nocturnal I was asked to redesign the bag I used on the trail based off my experience with using it. Below are the changes that I believed were necessary. One of the downfalls of Emily Carr's teachings is that it has very few textiles courses. As a result I had never had experience creating a tech pack. I was asked by Nocturnal to create a design based off the changes I would have made to the backpack I took on the West Coast Trail. Here is the tech pack so far! After trying my hand at numerous phone cases I moved on to something that would require a human fit. I decided to make a blacksmith's apron for my boyfriend who is a blacksmith. He needed a spot for his phone, a small notebook, his hammer, some tools and a pen. Here are the results! I decided to give myself the challenge of drafting and sewing a waterproof pullover in less than six hours. I had some waterproof fabric sitting around and decided that I would use a shirt that I like the fit of already to develop a pattern for a new shirt. This was an interesting process as usually I draft the pattern myself from measurements. I found that the way that I transferred the pattern was not as accurate as I would have liked. After sewing together the pullover I had to make numerous adjustments to it to make it fit nicer. Here is the process and result!